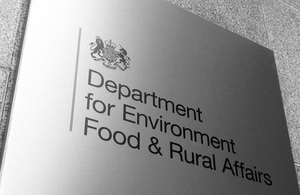 The Environment Secretary Owen Paterson today issued the following Written Ministerial statement to Parliament. “I wish to update the House on an important development since my oral statement on horsemeat on 11 February. ”As part of its audit of all horse abattoirs in the UK and ongoing investigation into the mislabelling of meat products, the Food Standards Agency, supported by the police, yesterday entered two meat premises. One was in West Yorkshire and the other in West Wales. The FSA are looking into the circumstances through which meat products, purporting to be beef for kebabs and burgers, were sold when they included horsemeat. They will involve the police further as necessary. ”The plant in West Yorkshire is Peter Boddy Licensed Slaughterhouse, Todmorden, which is believed to have supplied horse carcasses to Farmbox Meats Ltd, Llandre, Aberystwyth. ”West Yorkshire and Dyfed-Powys police entered the premises with the FSA. The FSA has suspended operations at both these plants while their investigations continue. The FSA has detained all meat found and seized paperwork, including customer lists from the two companies. ”The FSA are in the process of establishing the customers of the Welsh business so that the necessary action can be taken to recall and recover products sold that may be contaminated. They will then notify customers. Both the slaughterhouse and the business in Wales have a legitimate trade in horsemeat, but investigations so far indicate that horsemeat has been used in UK produce as though it is beef. ”As I told the House yesterday, it is totally unacceptable if any business in the UK is found to be defrauding the public by passing off horsemeat as beef. The FSA will continue to work closely with the police and if there is any evidence of criminal activity, I will expect the full force of the law to be brought down on anyone involved.